This month’s topic of Poppins Book Nook is Poetry. My daughter is 8 year old, and she is now learning to write her own poems. 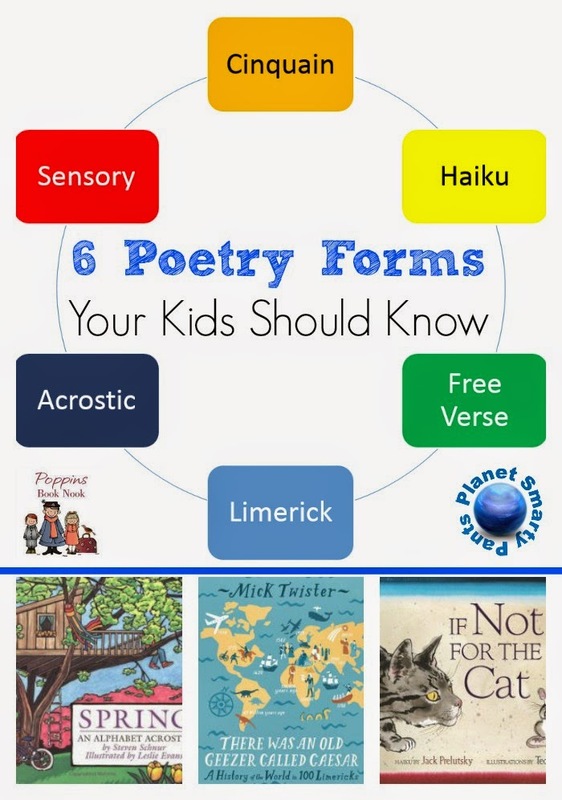 In this post I am going to share books and free printables for 6 poetry types every child should master. From early on I made a point to read poetry to Smarty. We have a sizeable collection of poetry books, but for a while she was considering poetry boring. I wrote a post about fighting this trend – Is Poetry Boring? In that post I had mentioned that one of the reasons that my then second grader thought that poetry was boring was because they didn’t read it in school. This certainly changed this year in the third grade – children not only read plenty of poetry books, they also formally studied several poetry forms and wrote their own poems. What kind of poetry forms did they study? The year started with the study of sensory poems. Third graders wrote their sensory poems about fall. They prepared for it using the graphic organizer similar to this free sensory poem graphic organizer from 3rd Grade’s a Hoot. In December, third graders talked about free verse poems using the well known poem by E. E. Cummings Litte Tree as an example. I don’t recall that poem making it back from school, but here is a free graphic organizer from Austin School District with good examples of free verse poems. So I admit I didn’t even know what that was until Smarty told me in February that they are learning about them in school and explained them to me. I hope I will get her poem back from school after Presidents’ Week break is over. The Educators’ Spin On It has a great example of cinquain poem dictated by a 4 year old (hey, you are never too young to start :))! Check out this free cinquain poem graphic organizer to write your own cinquain poems. Limericks are such a staple for St Patrick’s Day that I fully expect third graders to study them next. Unfortunately, they are famous for being “naughty”, but there are plenty of “clean” limericks for kids including this fun take on the world history. Check out the lesson on how to write a limerick and try your own. I am not sure if third graders will be revisiting acrostic poems this year. 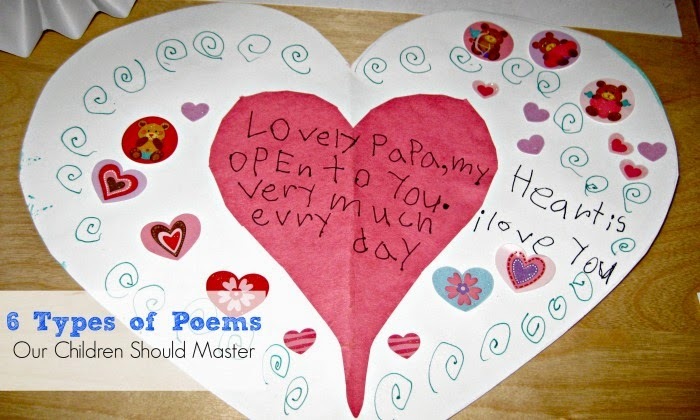 I believe they were studied in the first grade, but even before that I explained them to Smarty, and, when she was in kindergarten, she wrote that lovely Valentine’s Day acrostic for her Papa that you can see in the beginning of this post. I recommend a seasonal series of Steven Schnur to get some taste for acrostic poems and then you can write your own using an acrostic poem graphic organizer. 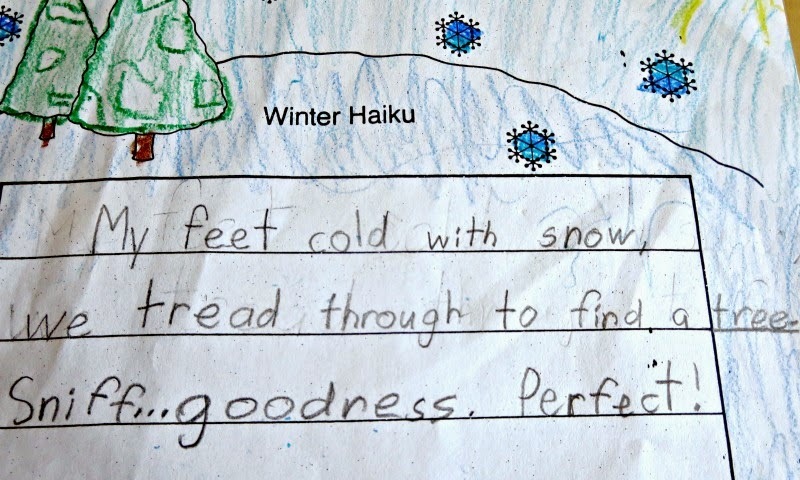 Have your kids written their own poetry yet? Kid’s Poetry Bundle Giveaway! Every month the Poppins Book Nook group will be offering readers a chance to win a brand new storybook or product that ties in with our theme for the month. This month one lucky entrant will win the Kid’s Poetry Bundle. The winner will enjoy two books full of poetry for children. The two books that they will win is the Bill Martin Jr Big Book of Poetry and Poetry Speaks to Children (*kindly note that these are affiliate links and your purchase helps to run this book club). These two magical books will help your children learn about and have fun with poetry. You are welcome to follow Poppins Book Nook on Facebook, Pinterest and browse the collection of ideas below. Link up your magical Poetry book fun below! Emma writes a lot of poetry! She must have inherited the poet gene from my dad that somehow skipped me (but some of my siblings do have). 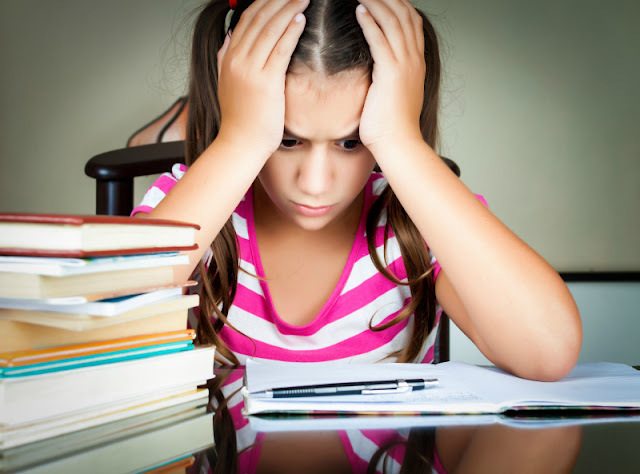 Excellent post, thank you, reminds me to do some formal poetry study in our home classroom. We went through Knock at a Star book last year and it has all the major forms of poetry with examples in it. My 4th grader D. is a poet. Poetry is his favorite assignment. When he writes, he tries to make things rhyme 99 times out of 100. It's fun to see him pick words to make his poems prettier. Princess writes poetry all the time. My boys are like me and largely ignore it. I really should work on showing them more poetry. I did an English degree and I have never heard of a cinquain poem! Off to check that one out now. My five year old is starting to make up rhymes and loves funny limericks. My favorite from childhood is Shel Silverstein. I still have some of those memorized from childhood! We are developing quite a taste for poetry, despite a little resistance from the kids at first! The poem Smarty wrote is soo sweet!